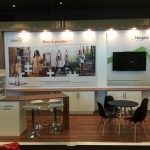 Are you looking for events and display stands in Perth? 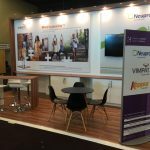 Get noticed with our Custom Exhibition Stand and Displays at Kustom Interiors. Your presence at a conference, trade show or exhibition can be the game changer for your business or brand. 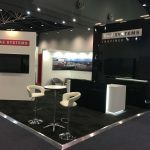 Understanding your requirements for exceptional, attention grabbing exhibition events and display stands are what make Kustom Interiors stand apart from others. 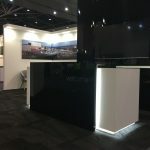 Bringing in more visitors with a wide range of installations from exhibitions stands and counters to cubes, display booths and many other options. With attention to our wide range of quality event stands and products completing the look that you are after. 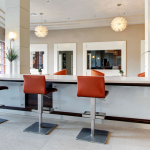 In addition, we can also guide our clients in selecting matching furniture and equipment to complete the look. 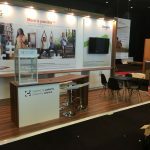 Most importantly we pay great attention to our clients specifications to ensure we design custom exhibition stands and displays exactly to your needs. 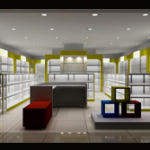 To begin with we will do a thorough evaluation of the exhibition venue and selection of colours and styles to match the overall environment. Incorporation of colours, finishes and patterns inspired by the business logos and products. We will always include client involvement during on-site installation of your stand to ensure everything goes according to the plan. Taking care of logistics and other important things to let you concentrate on your brand building exercises. Finally providing customized exhibition stands in clients’ specified budgets. 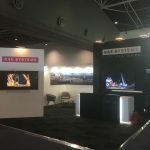 Do you have an exhibition event coming up? Are you planning to showcase your new launch at a famous shopping centre here in Perth? Please contact one of our friendly event and display stands team today for further information for your next event.